The EC1283C Big Man's big and tall office chair from Office Star features a soft yet durable Eco Leather upholstery. Eco Leather is comprised of a faux leather finished surface area with recycled leather backing making it more durable than traditional vinyl's backed with cotton. 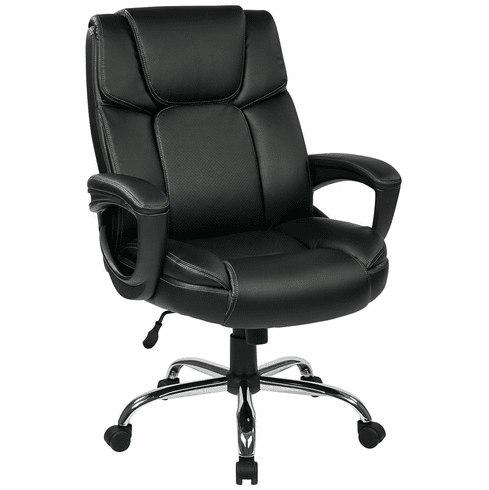 This black leather desk chair normally ships within 2-3 business days from our CA warehouse.